Hailey Dawson is on a mission. The 8-year-old from Henderson, Nevada, wants to be the first person to throw out the first pitch at all 30 Major League Baseball stadiums across the US. And, she's well on her way: On Thursday, she took the mound at Fenway Park, donning a Boston Red Sox uniform. The crowd went wild. Thursday's pitch at Fenway Park marked No. 21, leaving just nine more to go. 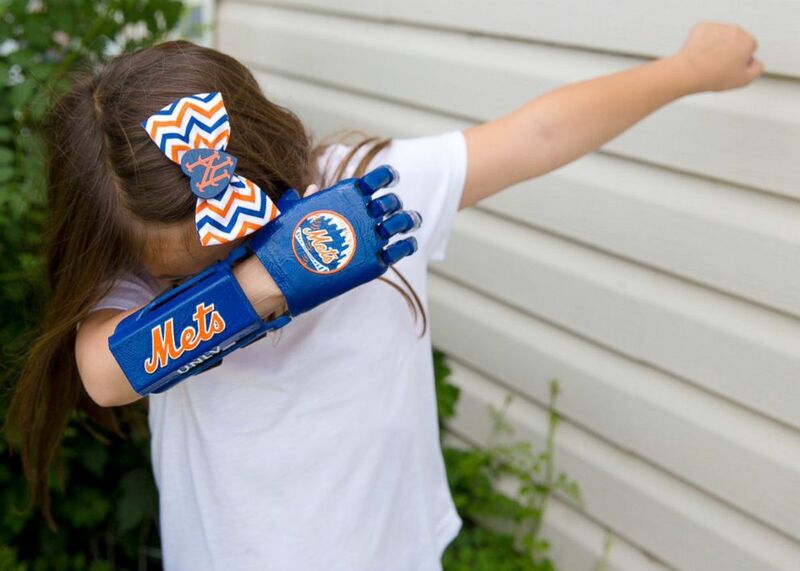 Last week, she threw out the first pitch at a Mets game and at Yankee Stadium too. So excited to welcome @haileys_hand to Fenway! All of these pitches aren't just to get into the record books. They are also to raise awareness for Poland syndrome, a rare birth defect that caused her to be born without three fingers on her right hand and without a right pectoral muscle. When she was 4, Hailey and her family began working with the engineering team at the University of Nevada, Las Vegas. The team took a mold of Hailey's hand and used a 3-D printer to make a robotic arm. It was held together and controlled with fishing line. The team refitted Hailey every few months as she grew. With physical therapy, she learned to write her name and then to throw a ball. Then, her baseball-loving family -- dad Greg, mom Yong and brother Zach -- got the idea about her throwing the first pitches. Hailey threw the first pitch for a minor league team in Las Vegas in 2015. She threw the first pitch that year at Baltimore’s Camden Yards for her favorite team, the Orioles. She also threw the first pitch this year for the Washington Nationals at Nationals Park in Washington, D.C.
Hailey Dawson wants to be the first person to ever throw out the first pitch at all 30 Major League Baseball stadiums across the US. Each time, she meets with the players and then walks to the mound. Her effort is also helping to raise money for UNLV so that the team can create and donate hands similar to hers. "I want people to know that if I can do it you can do it," she told ABC News Friday. She plans to finish with the Angels on Sept. 16. Click here for more information on Hailey's mission. ABC News' Nicole Pelletiere contributed to story.